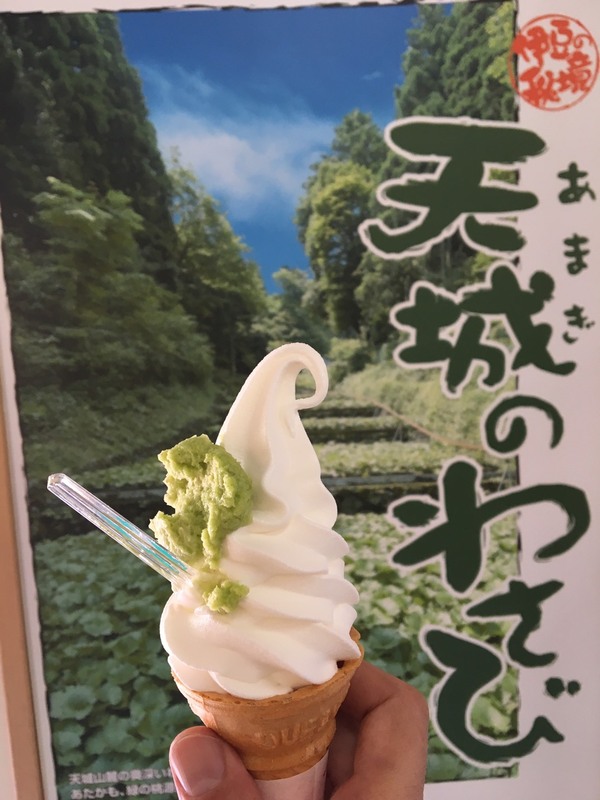 Met some of the usual suspects and a gaggle of prospective Twistybutters at a nondescript convenience store nice and early to beat the summer heat. So nondescript that some found themselves in empty carparks, even the most experienced! With the wait, some were chomping at the bit to get going but most were happy wandering around the herd putting faces to bikes and names waiting for the stragglers. Around 5:15, the engines fired, kick stands went up and those on the 500km course went downhill while those on the 600km went uphill. The carpark cleared quickly except for one reluctant Ninja 10R which had run out of zap and needed a bump start. Some huffing, puffing and pushing later and the carpark was clear. Our group were definitely bringing up the tail but we had a good group. The mighty FZ1 in the lead followed by GPZ900R, Z1000, Street Triple and Ninja 10R. Good pack of experienced and well matched riders. Had a great run crossing paths with the 500s here and there and 70 odd kms later we pulled up to a red signal around 6:30am with a pack of 14 riders! Was awesome to see. 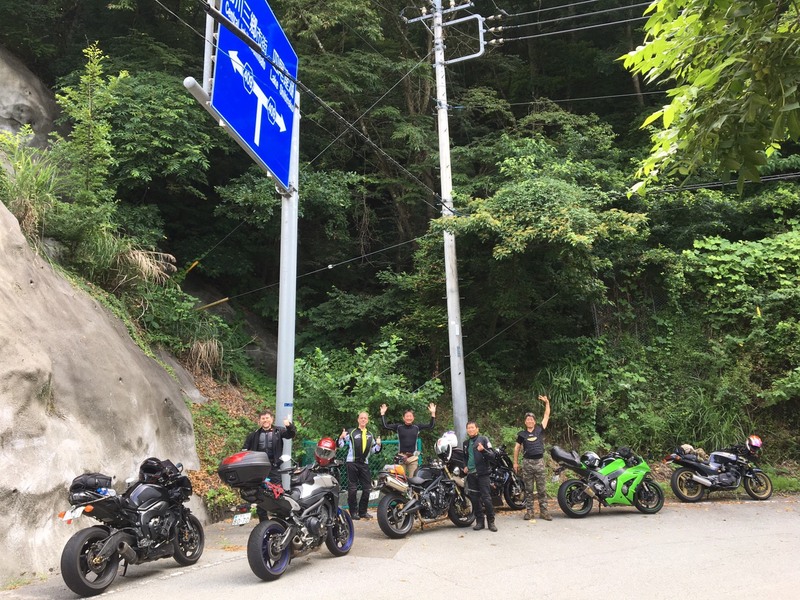 We climbed up through the cool mountains, took a brief break at the top and then down to the south of Kofu for a break. No Fuji view today. Good chat and tyre ogling pit stop though. Fueled up the bikes and huddled inside to fuel the riders. Cheers for the cold drinks Sanekata-san. It was already hot! 8am and 30deg! 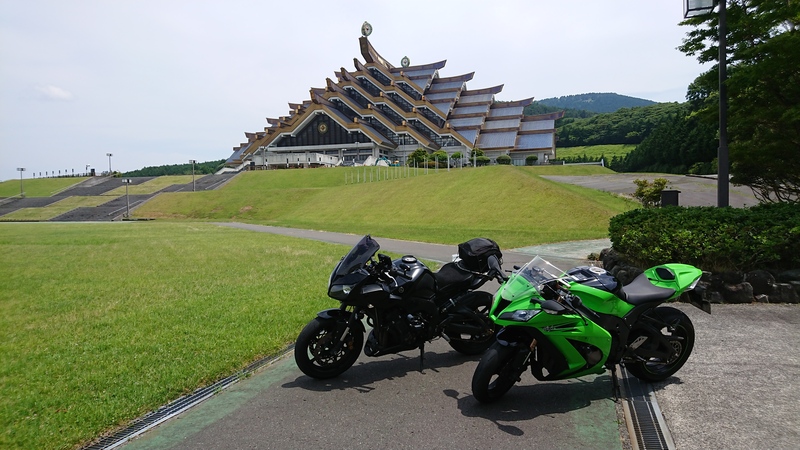 Hot enough to get us moving, but not without a push for the green machine… then it was off to twist our way around the west of Fuji. Along the way we passed and were passed by Mike B on the mighty African Twin. From there it was south into Izu and a run down the Izu Skyline. Divided by traffic,our group of four broke off into 2 with the Street Triple and Tracer missing the turn-off for the entrance to the Big Izzy. Oh well, gave us a chance to tag along with another crew of Twistybutters. SuperDuke Ken, Capponard Beppe and CBR Gil. The 10R approved as it fired to life voluntarily! Then we were off and the 10R was a galloping. By the time we reached the Golden Temple, we were back to two. After that we did the south west, west and north west coast and the heat was really getting to me. Remember rolling into a combini and thinking I may not make it. Not the full 600km course anyway. Stood there like a zombie in dire need of a second wind. Mentioned/mumbled I really needed an ice coffee and ‘hey presto!’ there was Tony T with a tall ice coffee. Legend! Part time awesome wingman, part time track racer, part time Skyline fiend and awesome coffee dispenser! Cheers T.
The north west corner was fun and we passed a number of twistybutters going up and down the twisty bits. 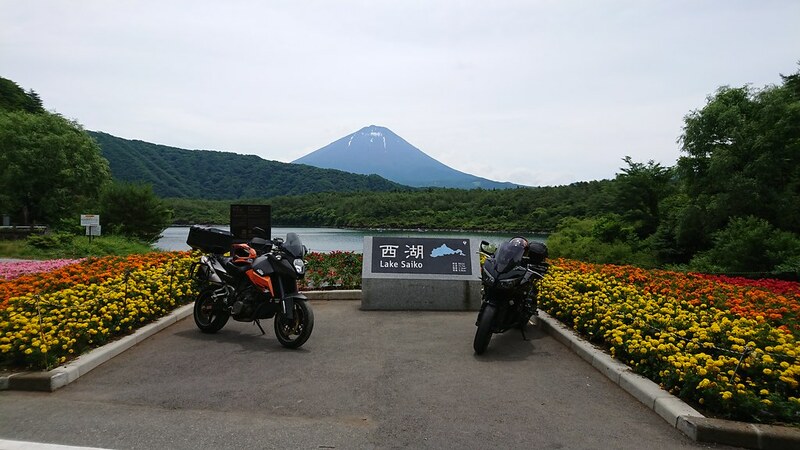 A tracer here, an orange street triple there and the trio we lost on the Skyline! 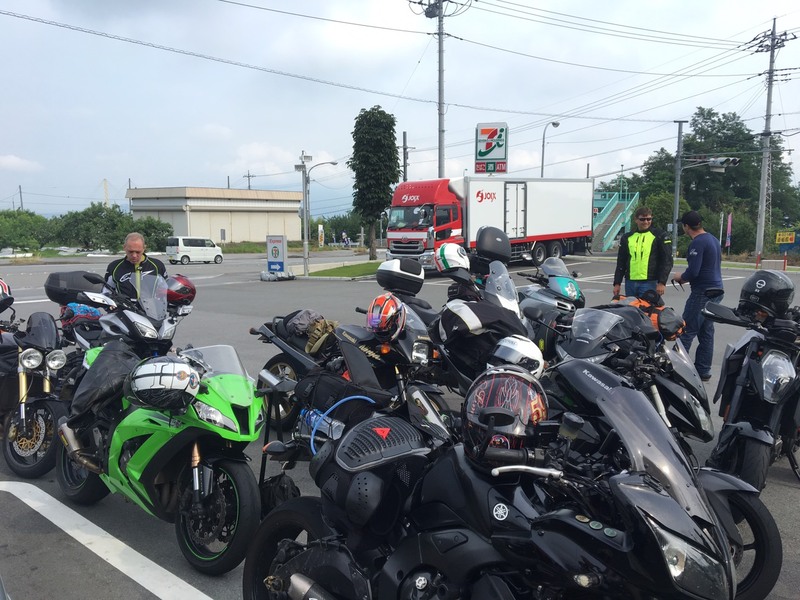 Met them again up on Heda Touge and was delayed with… bike/rider issues. Soonish, all was sorted and we were off again. Bolted across the peninsular into the fading light back onto the Big Izzy and decided on going north instead of south, trimming @10km off, to get us to the goal a little hastier. 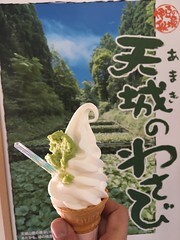 It helped until we hit Atami and its summer festival. Complete with floats, closed roads, men in blue on every other corner and… it was a bottleneck. Sorry all. Didn’t check the calendar on that one. 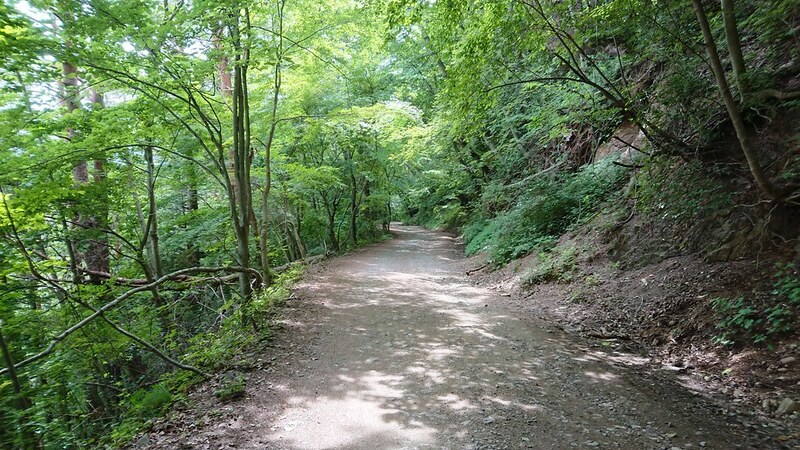 Soldiered on and ran the Seaside Line before climbing again into the hills and up to the goal at Daikanyama. The 5 of us were probably last in but glad to be there. Exhausted but glad. The FZ1’s speedo/odo is corrected so 664km door to door over 18hours. Slow going? Maybe. Hot? Sure. Fun? Oh yeah. Good riding? You betcha! Gassed on for a while and then decided to hit the road and we all went our seperate ways. Some back to Tokyo, some back to Kanagawa. And me? Well, I was off to a nearby hotel. 20km away and the rain was starting to spit. 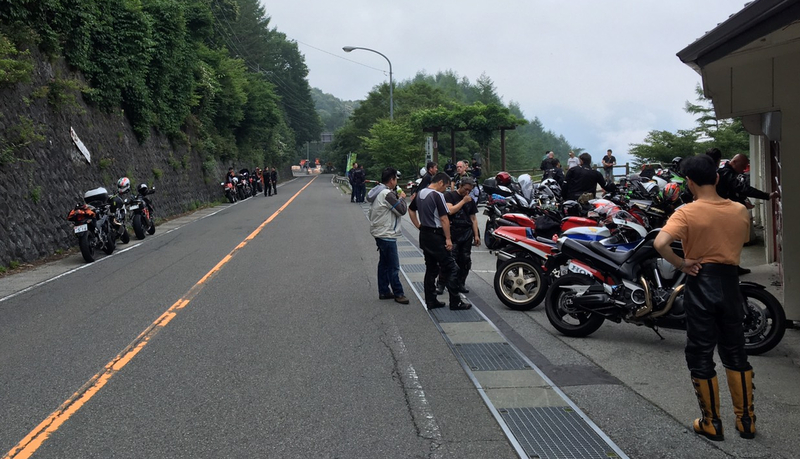 It only spat while on the peaks and soon I was barreling down into Susono and some much needed fluids and food! I was late though and rolled in around 9:30pm. Got in to the hotel and a few of the Twistybutts were lurking around the foyer area in various states of reanimation, topping up on amber fluids. The call was made to head to a restaurant next door where we foraged, drank and shared tales from the road. It wasn’t the huge gathering of the Coast2Coast but it was a good time with fellow Twistybutts. Cheers Gents! Next morning, woke up to team KTM(Neil and Patrick) heading out. Met others for breakfast downstairs and we were all a little crusty and road-worn. 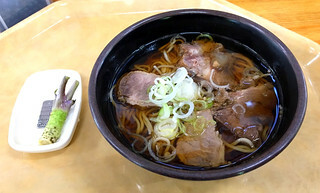 While the others headed back to the big smoke, Brian(aka Ramen Rider) and I headed for the Fuji area to try something new. The drone worked a treat and we had fun with it. We screwed around on the south side of Mt. Fuji and then keeping in the cooler temps above 1000 metres, we went clockwise around Fuji to Lake Saiko. Looking for a short-cut around relentless traffic and stifling heat, we headed for the hills and ran out of tarmac. Brian roared past on the KTM while the FZ1 and I crawled on nursing the Bruce Willis bald rear tyre over jagged rocks and spiky sticks! At the top, there was a most excellent viewing building with a great launch pad for the drone. Decided to twist it back and wriggle around the traffic. Glad I did! 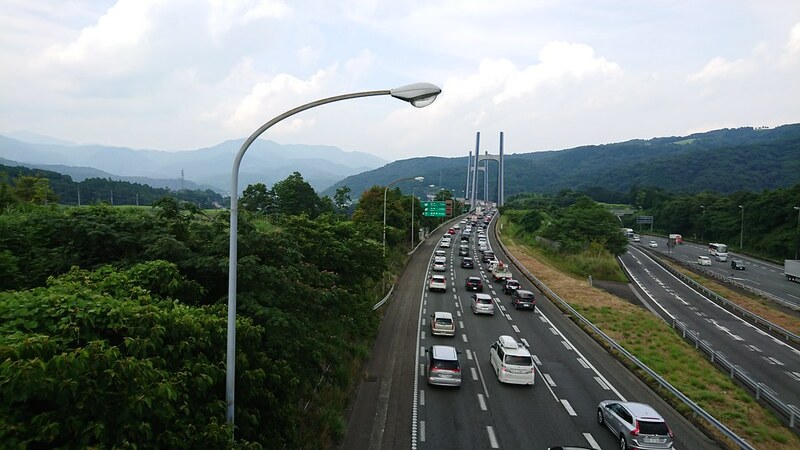 The Tomei Expressway was moving at a snails pace. For the last run of twisties of a great couple of days of riding, it was up and over Ashigara Touge and Ashigara Highway back to the coast and home. Great weekend of Kanto’s twisties with the Twistybutters. 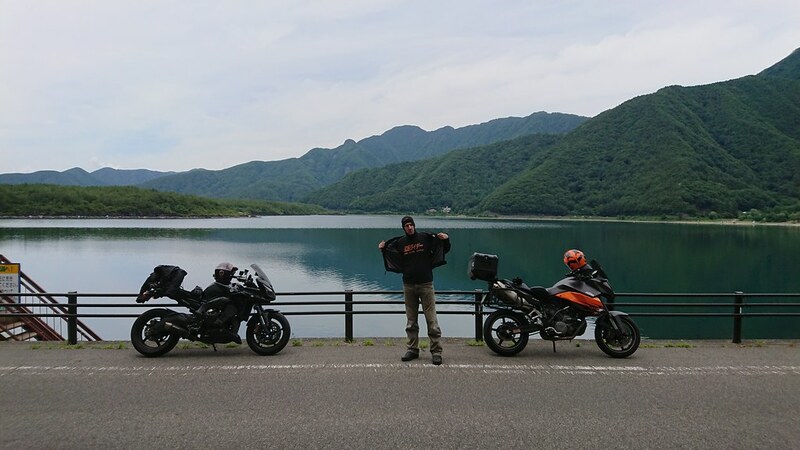 August 2, 2017 in Ride Reports. ← Where the rubber meets the road! Good stuff Craig, enjoyed every minute of the ride and your report, thumbs up! Glad to hear it Neil. See you at the next one.